He may be angry, but David de Gea is sticking around at least until a transfer gets made official. How long before Man United unload their star stopper? In the wake of recent reports that Man United had blocked a move to let goalkeeper David de Gea transfer to Real Madrid, the angry stopper will stick around for at least a while longer. According to the Daily Mail, the 24-year-old Spanish stopper joined his teammates on their trip to the United States for the summer pre-season tour. Although de Gea has been pursued aggressively by Real Madrid – a move the former La Liga star is reportedly extremely interested in – Man United are having none of it for the time being and have swatted down rumors of his departure at every turn. 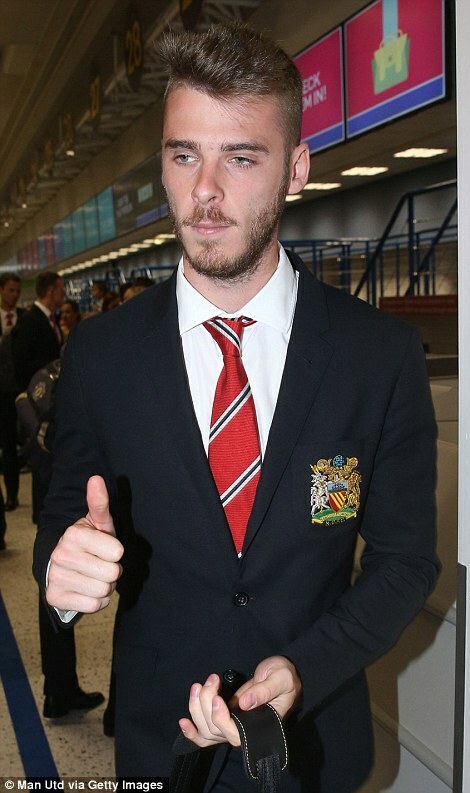 Though de Gea joined the Red Devils at the Manchester Airport, he certainly didn’t seem overly thrilled about it. De Gea finished tied for 8th in the Premier League with 10 clean sheets as Man United finished 4th on the league table. There have been rumors that de Gea would be used as possible swap bait for Real Madrid superstar defender Sergio Ramos, but there has been no word on that front lately.